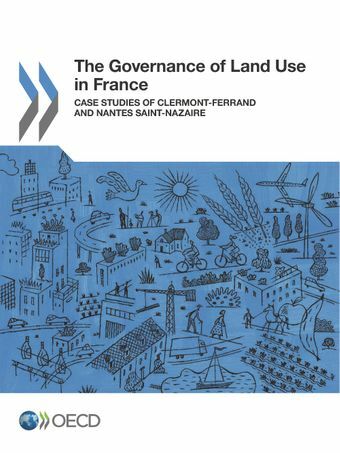 This report examines how land is governed in France. It describes the laws, policies and practices that shape spatial and land-use planning in the country as a whole, and provides a detailed assessment of specific governance arrangements and practices in two metropolitan areas: Clermont-Ferrand, a mid-range urban agglomeration in south-central France; and Nantes Saint-Nazaire, the 6th largest urban agglomeration in the country, located in the north-west. These case studies highlight the trends and challenges faced in each region—such as the need to protect fragile environments from growing peri-urbanisation—and the unique approaches that have been adopted to manage land-use issues across a large number of communes. The report offers recommendations on how to strengthen the capacity and effectiveness of the spatial planning system in order to ensure that land is used in an effective and sustainable way.